A couple months ago, YDI Senior Executive Assistant Cherise Quezada and longtime YDI supporter Steven Michael Quezada took a trip to New York City to visit family friend Bryan Cranston in his Broadway play “All the Way,” where he won a Tony award for playing President Lyndon B. Johnson. On their visit, Cherise and Steven talked to Mr. Cranston about the work YDI was doing in New Mexico. 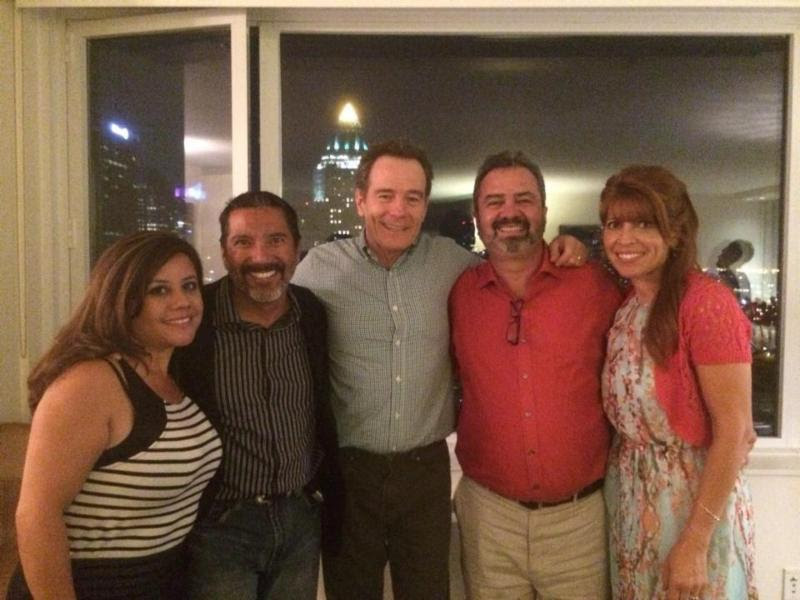 Mr. Cranston had already been an ardent supporter of YDI while he was filming Breaking Bad in Albuqueruque, and had joined the YDI Foundations’s Don y Dona Society of givers, which means he had donated $10,000 or more. Yesterday, a check from Mr. Cranston arrived at the YDI Foundation offices for $10,000 as promised. Thanks to the efforts of Steven and Cherise, the mission of YDI is held in high regard by contributors such as the Academy and Tony Award winning actor. It’s great to see people of such well established entertainment value the work YDI employees do. Thank you Steven, Cherise, and Bryan!